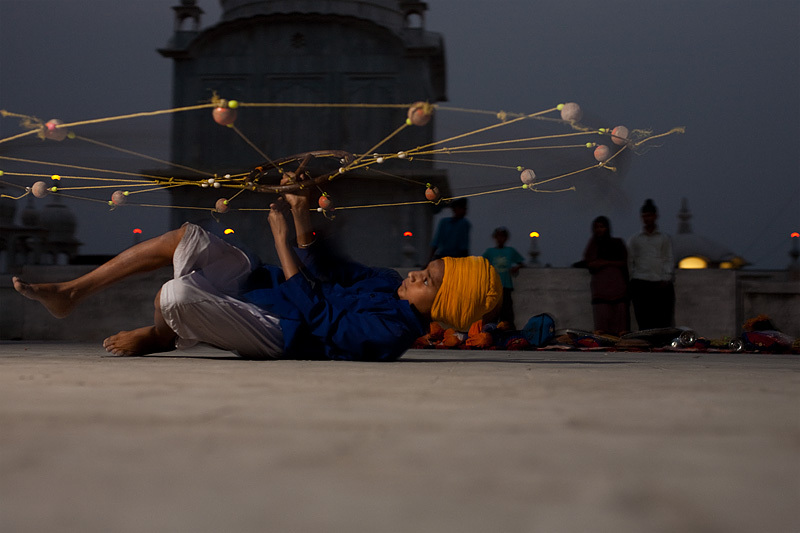 A young Sikh showman shows off his martial arts skills with a net-like weapon at the Paonta Sahib gurudwara. The difficult part of capturing these martial artists was the fact that they moved around so much that my off-camera flash was able to light them entirely only a fraction of the time. If we were able to communicate, I could've marked a spot and conveyed to them they needed to be in the spot for a proper flash exposure. The result was, out of nearly 200 photos taken, only about 10 were exposed correctly acceptably not horribly. 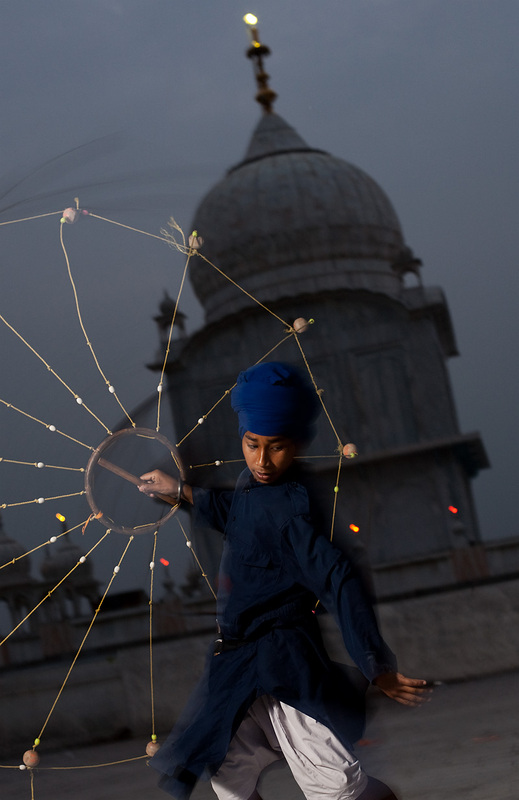 A young martial artist shows off his back-spin move while continuously spinning his net-like weapon.